Community question answering (CQA) represents the type of Web applications where people can exchange knowledge via asking and answering questions. One significant challenge of most real-world CQA systems is the lack of effective matching between questions and the potential good answerers, which adversely affects the efficient knowledge acquisition and circulation. On the one hand, a requester might experience many low-quality answers without receiving a quality response in a brief time; on the other hand, an answerer might face numerous new questions without being able to identify the questions of interest quickly. Under this situation, expert recommendation emerges as a promising technique to address the above issues. Instead of passively waiting for users to browse and find their questions of interest, an expert recommendation method raises the attention of users to the appropriate questions actively and promptly. The past few years have witnessed considerable efforts that address the expert recommendation problem from different perspectives. These methods all have their issues that need to be resolved before the advantages of expert recommendation can be fully embraced. In this survey, we first present an overview of the research efforts and state-of-the-art techniques for the expert recommendation in CQA. We next summarize and compare the existing methods concerning their advantages and shortcomings, followed by discussing the open issues and future research directions. The online version of this article (doi: https://doi.org/10.1007/s11390-018-1845-0) contains supplementary material, which is available to authorized users. Lin Y, Shen H. SmartQ: A question and answer system for supplying high-quality and trustworthy answers. IEEE Transactions on Big Data. doi: https://doi.org/10.1109/TBDATA.2017.2735442. Feng W, Zhu Q, Zhuang J, Yu S. An expert recommendation algorithm based on Pearson correlation coefficient and FP-growth. Cluster Computing. https://doi.org/ https://doi.org/10.1007/s10586-017-1576-y, June 2018. Tong Y, Chen L, Zhou Z, Jagadish H V, Shou L, Lv W. SLADE: A smart large-scale task decomposer in crowdsourcing. 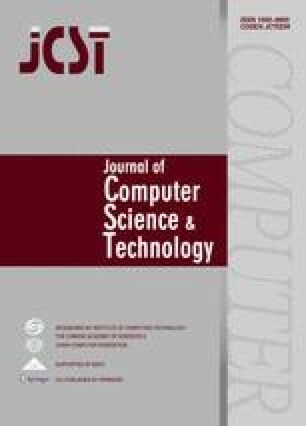 IEEE Transactions on Knowledge and Data Engineering. doi: https://doi.org/10.1109/TKDE.2018.2797962. Zheng C, Zhai S, Zhang Z. A deep learning approach for expert identification in question answering communities. arXiv:1711.05350, 2017. https://arxiv.org/abs/1711.05350, Jun. 2018.